The presentation of this Ribbon Tied Bow Christmas Tableware adds to the festive feeling. You almost are convinced it couldn’t be a Christmas feast without these Strawberry Street plates. Consider in the gallery of images and take close note of the plate Holder outfitting. 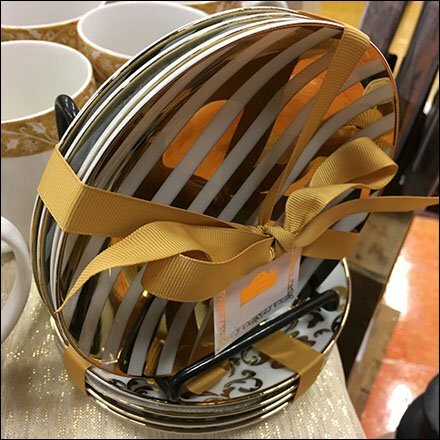 This Ribbon Tied Bow Christmas Tableware seen in the Seasonals Aisle of Wegmans.